Some call Las Vegas the City of Lights. 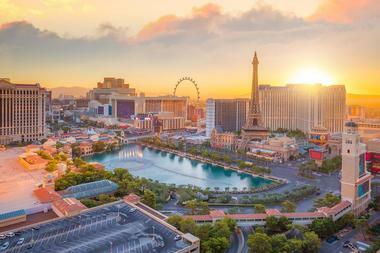 Others call it Sin City, but anyone who’s ever been there can agree that it is the Entertainment Capital of the World. Famous for its neon signs, shopping, posh hotels, exciting casinos, unique day trips, thrilling shows, family-friendly activities, free attractions, and feverish nightlife, there is still more to be discovered in Las Vegas. The Las Vegas Strip, or simply The Strip, is quite possibly the most iconic 3.5-mile-long-stretch of boulevard in the world. Located along Las Vegas Boulevard, it is packed with over 20 of the world’s largest resort-casinos with a whopping 70,000 hotel rooms. The boulevard comes alive at night with the vibrant colors of neon signs, the energetic spirit of gamblers and party-goers, and the breathtaking beauty of architectural wonders, such as the 30-story pyramid-shaped Luxor hotel. 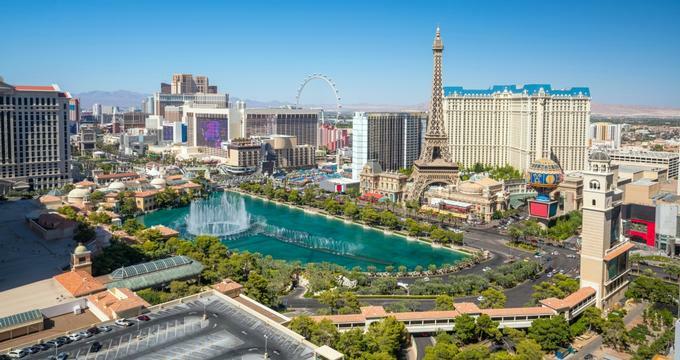 It also features a barrage of exceptional sights, such as the brilliant water fountain display in front of the Bellagio, an exploding volcano in front of the Mirage, and the pirate-themed Treasure Island Hotel and Casino. 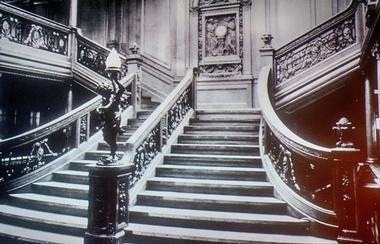 Titanic: The Artifact Exhibit gives visitors the opportunity to experience one of the world’s biggest marvels and grandest tragedies, the iconic ocean-liner – Titanic. It is one of the most attended exhibitions in the world, viewed by over 25 million people, and features more than 250 authentic artifacts recovered from the ship’s wreck site. The exhibit also features comprehensive recreations of some of the ship’s most famous rooms, offering an entertaining and educational experience for visitors of all ages. Some of the items that can be viewed include floor tiles from the first-class smoking room, an unopened 1900 vintage bottle of champagne, a full-scale piece of the ship’s hull, luggage, and the ship’s whistles. Akhob is a secret art installation commissioned by the Louis Vuitton City Center store. They enlisted world-renowned artist James Turrell to create this awe-inspiring interactive art piece. Situated in the rear of the French luxury goods store, visitors get the chance to experience the total color immersion that is Akhob. The piece is made of circular openings that lead into two grand chambers that are filled with gradually rotating, changing light. These light fields bathe guests in the most dazzling colors possible as dynamic hues are brought forth with the gradual movement of the circular openings. This free experience lasts 24 minutes, and reservations are required in advance. 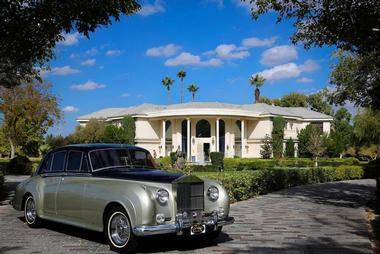 Casa De Shenandoah is a 52-acre estate developed by the unofficial Mr. Las Vegas himself, Wayne Newton. Purchased in 1966, Newton poured his heart and soul into the creation of this opulent and extravagant complex hidden behind his iconic golden gates. For decades, entry into this estate was limited to only a few chosen rich and famous legends, but that changed in 2015 when he opened his doors to the public. Now visitors can take a tour of the grounds featuring eight luxury homes, each outfitted with vintage car collections and unique housing memorabilia. The complex also features horse stables, lakes, ponds, arenas, and various enclosures for exotic animals. Dig This is the newest addition to the vibrant Las Vegas Strip, but it sure isn’t a hotel. Instead of another glamorous hotel, New Zealand-born Ed Mumm decided to create an adult theme park unlike any other. His inspiration for this exhilarating yet unusual park came after he rented an excavator to begin building his home in Colorado. Once he was behind the wheel, he realized how fun it was to play around with these massive tools and set out to bring the experience to others. 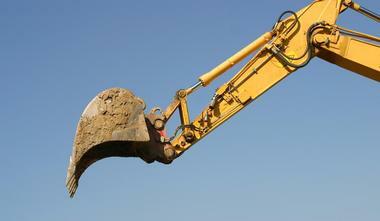 Visitors can now come to his 5-acre theme park to try their hand at operating machinery, including three Caterpillar 315CL hydraulic excavators and two Caterpillar D5 track-style bulldozers. 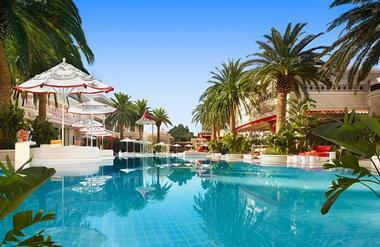 Encore Las Vegas is an award-winning luxury resort, hotel, and casino located on the Las Vegas Strip in Paradise, Nevada. 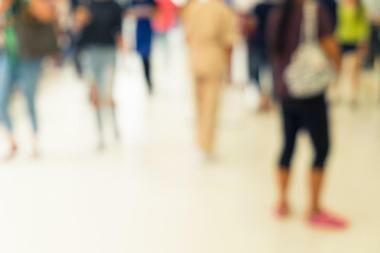 The resort has a massive 80,000-square-foot casino, 60,000 square feet of super modern convention space, 27,000 square feet of shopping space known as The Esplanade, five restaurants, seven bars, a nightclub, a spa, and a salon. There is also a beautifully landscaped, lush three-level pool complex with pagoda showers, cabanas, “lily pad” water lounges, and eight luxury bungalows. The whimsical design of the resort decor has both Asian and European influences, with a lot of red and butterfly motifs everywhere. The large windows in the public places and generous greenery allow natural light to brighten more areas of the resort than is common in Las Vegas. 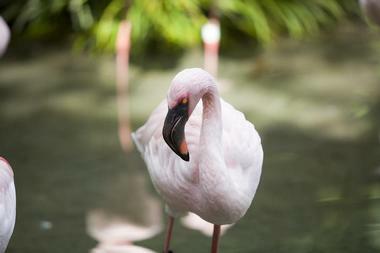 Situated in the Flamingo Hotel just off the Las Vegas Strip, the Flamingo Habitat is a stunning representation of a tiny slice of Florida’s tropical atmosphere. Located on 15 acres of verdant tropical land, visitors will find winding pathways filled with swans, pelicans, turtles, hummingbirds, koi, and parrots. The central focus is of course the incredible flock of flamboyant flamingos relaxing on Flamingo Island in these exotic gardens. Dozens of Chilean pink flamingos sashay around the lush landscape, admiring the hotel’s gorgeous waterfalls and feeding on the aquatic life. Each day two morning presentations are featured, providing guests with the opportunity to learn about these incredibly unique creatures. The Fremont Street Experience is located in downtown Las Vegas, a five-block entertainment district that is both vibrant and energetic. 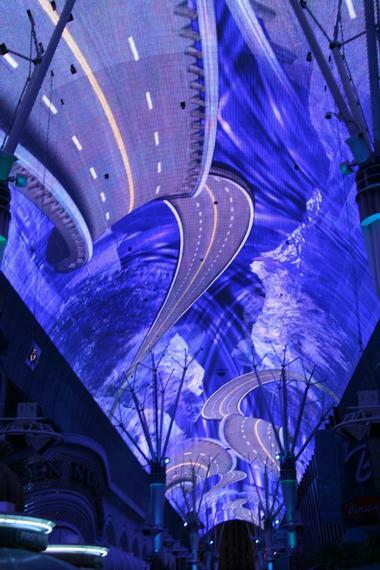 One of the district’s biggest draws and its centerpiece is Viva Vision, the largest video screen in the world. It is suspended 90 feet above the pedestrian mall with the staggering dimensions of 90 feet wide and 1,500 feet long, featuring a 550,000-watt sound system and 12.5 million LED lights. Each night, Viva Vision showcases free light shows that last 6 minutes at the top of each hour. Visitors can also take their experience to new heights with a ride on the ShotZilla zipline, which spans the entire length of the street. The Golden Nugget Hand of Faith is the world’s second-largest gold nugget, displayed in the aptly named Golden Nugget casino. This incredibly rare piece of history was discovered in 1980 by Kevin Hillier in the small town of Wedderburn, Australia. 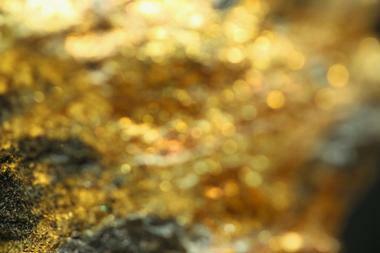 He ventured out on a beautiful spring day to do some exploring with his trusty metal detector and to his utter shock he managed to find this 875-troy-ounce, 61-pound mass of gold just six inches below the ground. After a thrilling press conference and an array of accolades, Hillier sold the gold nugget to the Golden Nugget casino, where it still resides today in a hallway near the lobby. 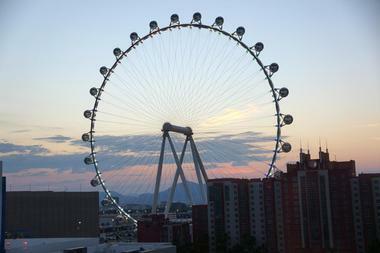 The High Roller Ferris Wheel is the largest of its kind in the world, taking visitors to soaring heights above the city in a whirling party room. Opened in 2004, this observation wheel is a towering 550 feet tall and an incredible 520 feet wide. It can accommodate over 1,000 passengers in its 28 passenger pods. Viewing or riding on the impressive High Roller at night is sure to be a highlight, as the entire wheel is outfitted with neon lights that are programmed to flash colors, patterns, and designs nightly, during special occasions, and on holidays. Las Vegas Walking Tours offers visitors a unique experience outside the traditional activities of gambling and clubbing. 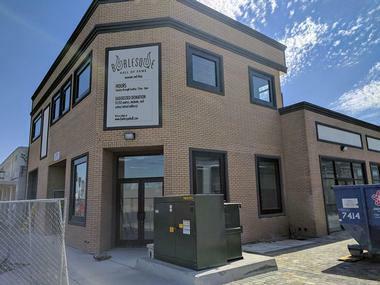 These affordable, fun, and informative tours are led by experienced local residents and knowledgeable historians, and each guest is outfitted with a wireless ear-monitor and control system to ensure they hear every word with ease. Visitors can choose between two tour options, the Downtown Las Vegas – Fremont Street, Past to Present tour and the Fremont After Dark – The Glitter Gulch tour. They each last 2 hours and feature their own unique highlights and flare, with stops at iconic sights such as a one million dollar cash display, a shark tank, and a 40-foot-tall fire-breathing mantis. The Tower is one of Las Vegas’ most prominent fixtures, featuring a one-of-a-kind sphere design situated in the city’s skyline and offering panoramic views of the glittering Strip and surrounding valley. There is an array of adrenaline inducing attractions within and on top of the tower. 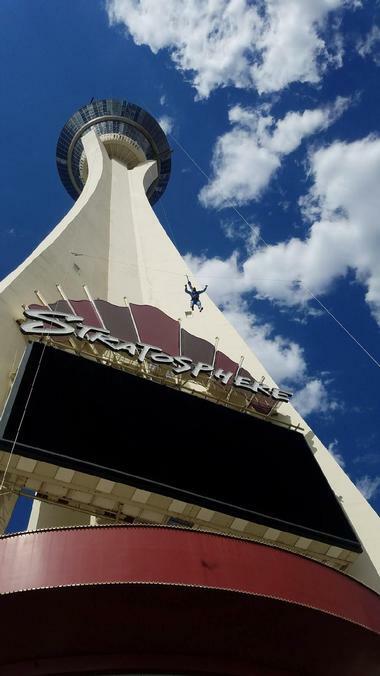 Sky Jump offers visitors a scream-inducing dive off the tower, dropping 829 feet with plunge speeds of 40 mph. In addition, the tower also features three nail-biting thrill rides, the Big Shot, which blasts 160 feet in the air, Insanity, which spins 64 feet along the tower’s edge, and X-Scream, which catapults riders 27 feet off the edge, dangling them 109 stories up in the air. Lonnie Hammagren is a Las Vegas local legend. A former lieutenant governor and retired neurosurgeon, he has spent his life turning his home into a cabinet of curiosities. He built his home museum in 1969 before moving there in 1971 and continues to live there to this day, expanding his ever-growing collection. While it serves as his private home 364 days out of the year, every annual Nevada Day he opens his home to thousands of visitors so that they can enjoy his impressive, carefully organized hodgepodge of memorabilia. His vast collection includes intriguing items such as an underground mine, the Barbershop Brothel, T-rex replica, an animatronic tiger, and a mini Taj Mahal, among others. While Las Vegas is now a thriving, vibrant, and exciting city where sleep is for the weak and indulging vices is the name of the game, it may surprise some that the area once acted as a nuclear testing site. Built in 1951 and referred to as the Nevada Test Site, its isolation made it the perfect place for atomic testing. For those with an interest in the Atomic Age, a visit to the National Atomic Testing Museum is a must. Featuring more than 12,000 artifacts, the museum tells the story of the nation’s nuclear program, the sociological trends, and the pop culture of one of the most controversial periods in American history. Neon Boneyard is a 3-acre storage yard maintained by Young Electric Sign Company (YESCO), which has produced many of the neon displays since the Las Vegas casino golden age. The city’s neon-lit sky is one of its most prominent features, with the unique mix of kitsch, burlesque, and retro modern signage that has marked the visual identity of Las Vegas for an age. 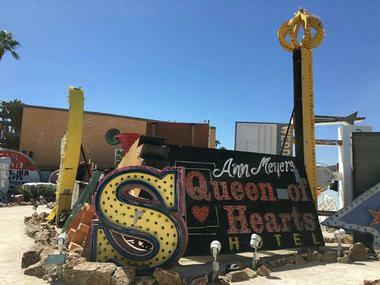 Visitors will find more than 150 decommissioned unrestored neon signs that now call this boneyard their final resting place. Some of its most notable pieces include Binion’s Horseshoe, the Golden Nugget, the Silver Slipper, and the original Aladdin’s lamp from the first construction of Aladdin’s Casino. The Pinball Hall of Fame is located in an unassuming building just slightly off the Las Vegas Strip. It offers visitors a mini-version of the city with its collection of pinball machines, flashing bright lights, dinging bells and, of course, furious button pushing. There are over 200 games within the space. The majority are pinball, but a few additional intriguing old-school games also made the cut, such as one peculiar safe-breaking game. 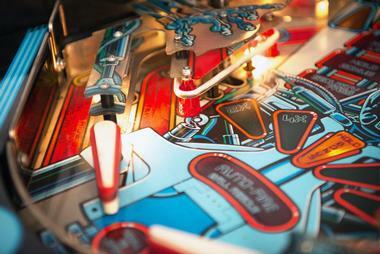 The machines are from various time periods from the 1940s to the present day, and can be actively played for between 10 and 50 cents, depending on the chosen game. 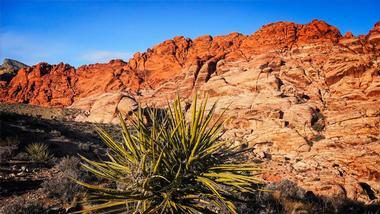 Red Rock Canyon National Conservation Area is a located 15 miles west of Las Vegas. Just like its name suggests, Red Rock Canyon features gigantic sandstone rocks dyed by iron oxide over several centuries that rise to soaring heights of over 3,000 feet with the highest peak reaching 8,000 feet. They were formed by a plethora of geological forces, including fossilized sand dunes and fractured faults, making them a legendary destination for rock climbers and hikers. The area is also an archeologist’s dream find, with several petroglyphs and pottery fragments left behind by the Native American tribes who settled in the area due to the abundant animal and plant life. The Big Apple Coaster & Arcade at New York is just one of the many attractions the MGM Resorts offer in Las Vegas. 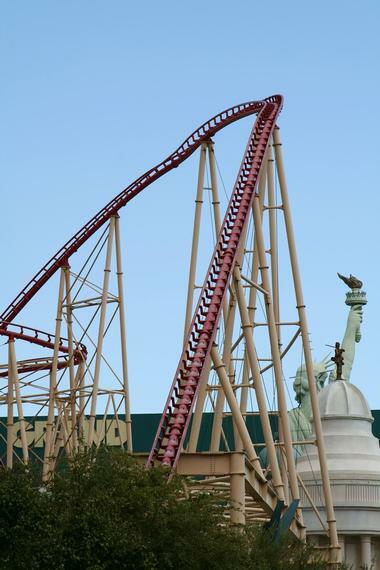 It is an especially iconic adventure as the Big Apple Coaster is the first of its kind in the world to feature a 180-degree “heartline” dive and twist maneuver, providing heart-stopping exhilaration unlike any other. After experiencing such a high-flying, thrilling ride, visitors will want to steadily calm their nerves at the Big Apple Arcade, which features over 200 of the latest and greatest video games as well as a collection of old-school favorites such as Ms. Pacman and laser tag. 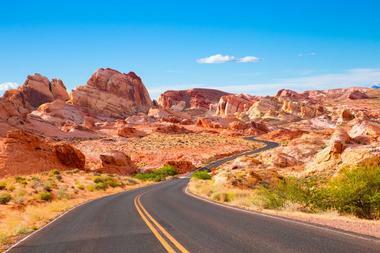 Located just under an hour northeast of the Las Vegas Strip, the Valley of Fire State Park is the ideal destination for a mini-day trip. Established in 1935, it is Nevada’s oldest state park, spanning an area of 35,000 acres. It received its name from the incredibly beautiful red sandstone formations that were created due to massive shifting sand dunes during the dinosaur era over 150 million years ago. These ancient and magnificent sandstone formations appear to be on fire when the rays from the sun hit them, creating a truly breathtaking sight. This is an excellent park for hiking, nature viewing, and photography tours. Vegas Extreme Skydiving is a premier skydiving school and excursion company with over 34 years of experience located in vibrant and energetic Las Vegas. 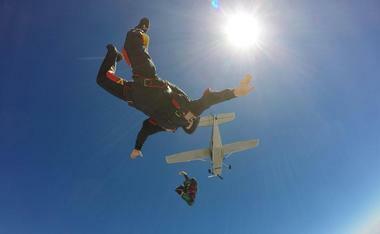 They provide tandem skydiving and accelerated freefall training in a fun and safe atmosphere. For those who simply want to enjoy a daring and thrilling adventure, they offer tandem skydiving trips that last between 2 and 5 hours. Visitors who are at least 18 years old or older will get an in-depth training before flying up to the required 15,000 feet in the air. They will then jump out with their instructor at their back for an exhilarating freefall before the parachute is pulled and they glide into the landing zone. 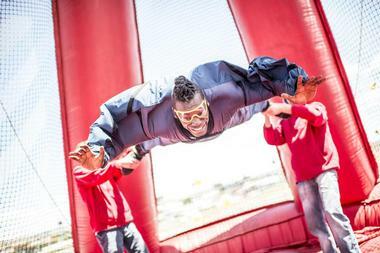 Vegas Indoor Skydiving is the perfect attraction for people who want the thrill and excitement of skydiving without the risk of a traditional skydiving experience. In fact, visitors won’t even need an airplane or a parachute during the process. They simply hover over a 1,000-horsepower motor that shoots them into the air, creating the same flying, floating, and freefalling experience of the real thing, with wind speeds of up to 120mph. Guests can choose group flights of 15 minutes, 30 minutes, or 1 hour with each person spending 3 minutes in the air. They also offer a Fly for Five package, which allows each guest five minutes of air time. Maverick Helicopters features the world’s newest and most advanced fleet of aircraft, providing incredible tours of Las Vegas and the Grand Canyon. 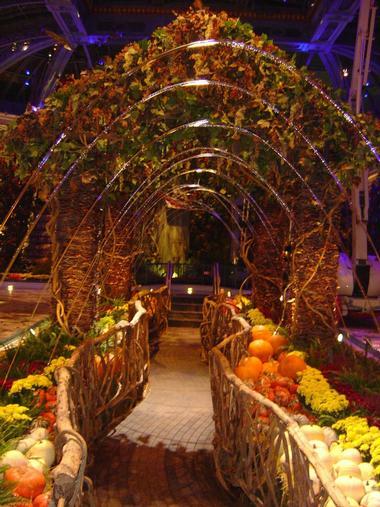 Visitors will enjoy VIP-level service with their choice of over 10 distinct Las Vegas tour opportunities. These include the Vegas Strip Tour, Wind Dancer Tour, Skywalk Odyssey, Silver Cloud Tour, Indian Territory Tour, Dream Catcher Sunset Tour, Vegas Dream Sunset Tour, and Southwest Escape Tour. They also feature the Maverick Rafting Tour, which travels the Grand Canyon and includes a rafting adventure down the Colorado River. Two specialty tours include the Electric Daisy Carnival Las Vegas Tour and the NASCAR VIP Transportation Tour. Red Rock Scooter Tours offers visitors incredible motorized tours through some of the most beautiful scenery in the world just 15 minutes outside of Las Vegas. 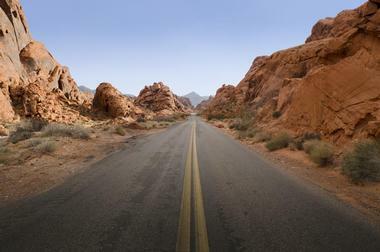 The tour travels along the 13-mile closed loop of the Red Rock Canyon National Conservation Area, which has supported civilizations for thousands of years. The area also provides a habitat for an abundance of plants and wildlife, such as mountain lions, wild burros, and bighorn sheep. While on the journey through this red sandstone paradise, visitors will travel at a cool pace of 25 miles per hour, enjoying some of its most breathtaking sights, including the highest peak in the canyon, which stands at a staggering 8,000 feet. Exotics Racing is the original supercar adventure, offering visitors the chance to drive some of the coolest and most incredible supercars in the world on exclusive racetracks. Each of their tracks was professionally designed in order to get the most out of their award-winning collection. Customers will receive one-on-one training from their team of professional racing instructors before, during, and after they get behind the wheel of one of these incredible machines. They will get to choose from an array of over 20 racecars and more than 50 exotic cars, including Ferraris, Lamborghinis, Porches, and McLarens, pushing each one to the limit for a truly exhilarating experience. 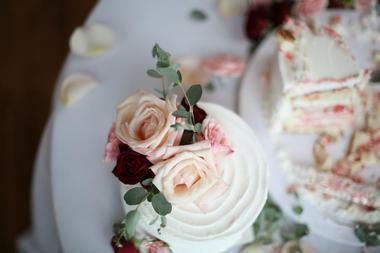 Lip Smacking Foodie Tours are award-winning culinary walking tours founded by local restaurant industry professionals. They feature an array of foodie tours showcasing the city’s hideaways and secret gems, both on the strip and off the beaten path. Their knowledgeable staff introduce visitors to the unique preparations, exciting tastes, and incredible signature dishes Las Vegas’ restaurant scene is known for, guests will, without a doubt, leave with their lips smacking. The Ultimate Steakhouse Tour, Savory Bites & Neon Lights, Savors of the Strip, Downtown Lip Smacking Tour, and Afternoon Culinary Adventures are the five main tours, each offering a unique culinary experience.